Alexander-Soares Duo CD is released! Music for Violin and Piano by Liduino Pitombeira has been released by Centaur Records! This recording of five sonatas by Brazilian composer Liduino Pitombeira is performed by the Alexander-Soares Duo. 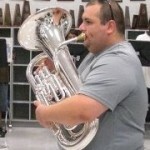 The Duo is Luciana Soares (piano) and James Alexander (violin), who are both on faculty at Nicholls State University. Engineering was done by Jeffrey Rassier (Sonata No. 3) and me (Sonatas 1, 2, 4, and 5). Click the image at the left for the Centaur Records website and more information. Congratulations to Luciana and James! Recording for a new CD by Hsiaopei Lee (viola, University of Southern Mississippi) and Chialing Hsieh (piano, Morehead State University) was completed in a three day session back in December. 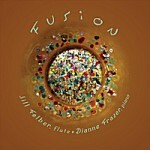 The CD will feature contemporary music by women composers. Editing will commence shortly! The project is to be released by Centaur Records. I will post again when there is more news. 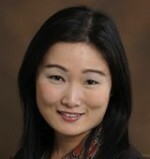 Click the picture at the left to see Hsiaopei’s website. Alexander-Soares Duo CD is ready! Editing and mastering is finished for the new Alexander-Soares Duo CD! Release by Centaur Records is expected in the spring of 2012. 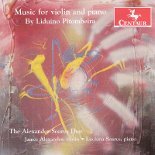 The CD includes five sonatas by Brazilian composer Liduino Pitombeira performed by Luciana Soares (piano) and James Alexander (violin). Congrats to Luciana and James! Click on the photo to see their website. “Spookeh” – now available on iTunes! Spookeh is up on iTunes, Amazon MP3, CD Baby and other sites with new original cover art by Zoë Robison! Plays here are always free, but you can also creep over to iTunes to get your very own copy! This is the second of my two Halloween songs. Of special interest are the eerily lovely third verse sung by my nephew, Evan Roider, and the ghoulishly rockin’ guitar solo by my brother, Bill. Halloween Night is available on iTunes! Halloween Night is now available on iTunes, Amazon MP3, CD Baby and other online outlets! Listen here for free, or go to my Music page to find this and other songs. (Plays here are always free, but if you simply must own a copy, truck on over to iTunes!) Original cover art is by Zoë Robison. This is one of several children’s songs I’ve written over the years for my nieces and nephews. This past year, I took advantage of some studio improvements and a bit of down time between recording gigs to revise and remix a few of these. I was happy enough with the result to unleash them upon the world! Halloween Night is the first to go up, and Spookeh will follow shortly. 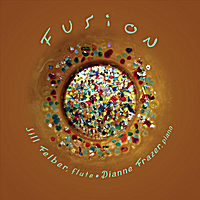 Fusion (2011), a collection of Classical Pop arrangements by Jill Felber (flute, UCSB) and Dianne Frazer (piano, LSU) has just been released! It is available on CD and digital download at cdbaby. The project was recorded, mixed, and mastered by Robison Productions this past spring and summer. Recording was done at the LSU School of Music Recital Hall. Welcome to the new Robison Productions website! I’ve spent the past several weeks learning the basics of WordPress and redesigning the site. I’m still tweaking, but, for the most part, we’re up and running. I’ve added a bit of interactivity to the site; so, please have a look around and feel free to comment, send me email through the new Contact page, or hop on over and “Like” my facebook page (if you actually happen to like it…). Thanks for visiting, and let me know if there’s any way I can help you with your audio and/or music needs.